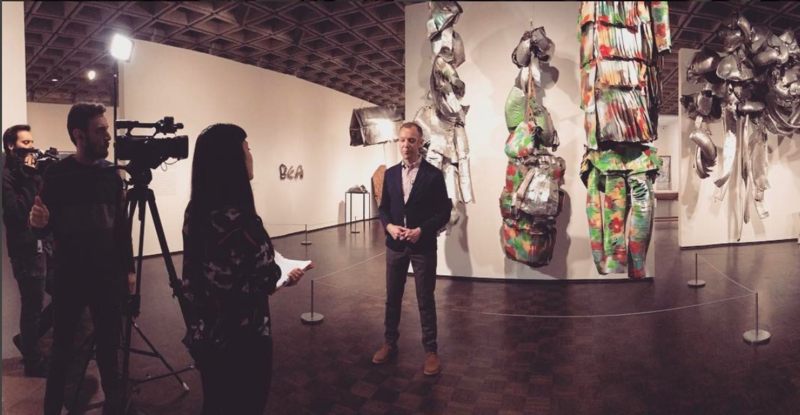 A year after its opening in the historic building that was known for half a century as the Whitney Museum, The MET Breuer continues presenting modern and contemporary art from all over the world. 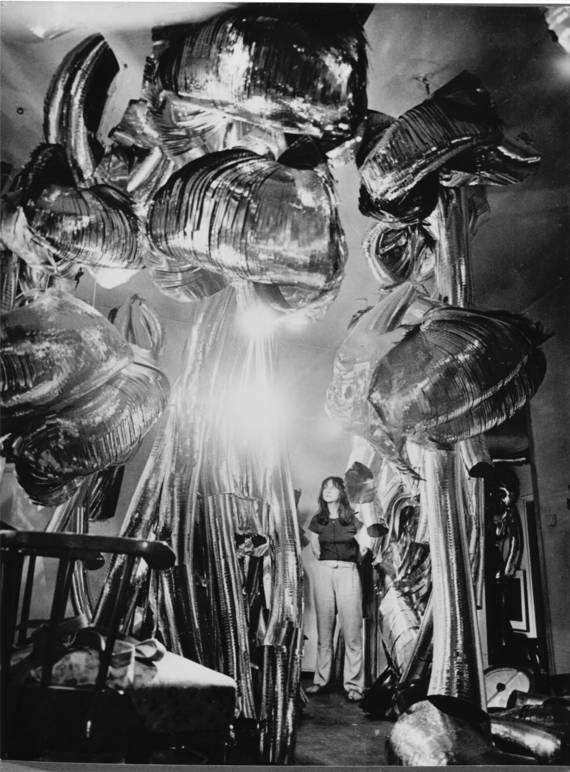 It does so in grand style by welcoming one of the largest retrospectives in the United States on Marisa Merz (Turin, 1926), a Turinese artist who was on the fringe of Italy’s Arte Povera movement. Marisa Merz.The Sky is a Great Space chronologically explores 50 years of Merz’s work: from the mid ‘60s to her most recent creations, from her first artwork like Untitled (Living Sculpture, 1966) – a series of large suspended sculptures – to her first wax models (her so called “testine”), from her works in graphite to her large pictures with bright colors representing women’s figures. All of these household objects have a different meaning; when they enter into the museum they harken back to the studio and the space where Marisa still works today. The imperceptible and delusive dimensions of the works being shown, highlighted by the space in which they are shown, is something that is very vivid and tangible. They tell us about a personal experience but also about the extraordinary architectural space that Marisa “plays” with. 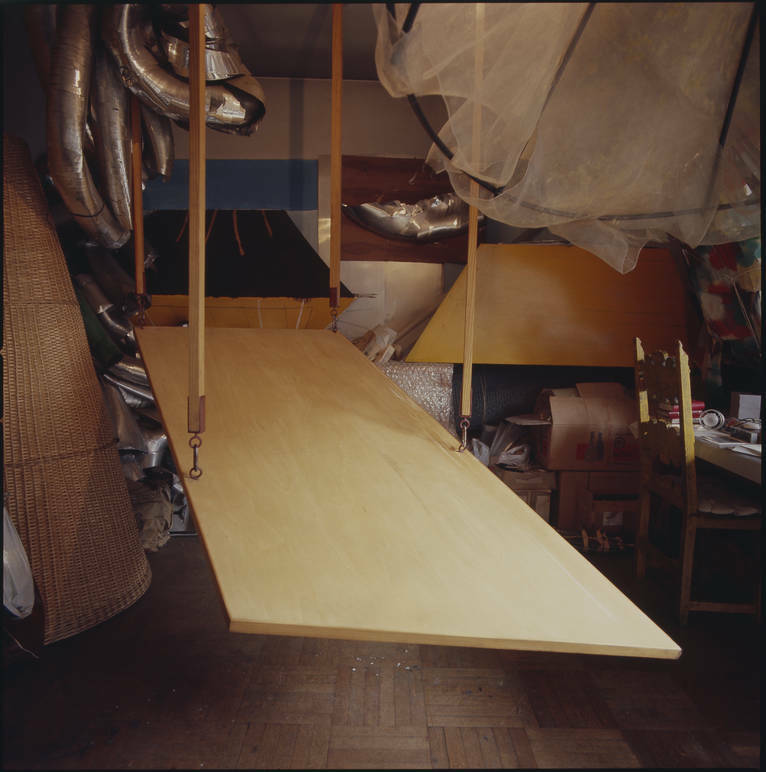 The swing, Altalena per Bea (Swing for Bea), which Marisa Merz made for her daughter and the Living Sculpture that opens the doors of the MET are two perfect examples. After entering, in the side and central areas, you’ll see works from the 80s, 90s, and up until the present day. Unconventional elements such as aluminium, wood, wax, nylon threads, copper, and graphite are the protagonists of the Turinese artist’s work. They present an intriguing aesthetic that is both provocative and seductive. 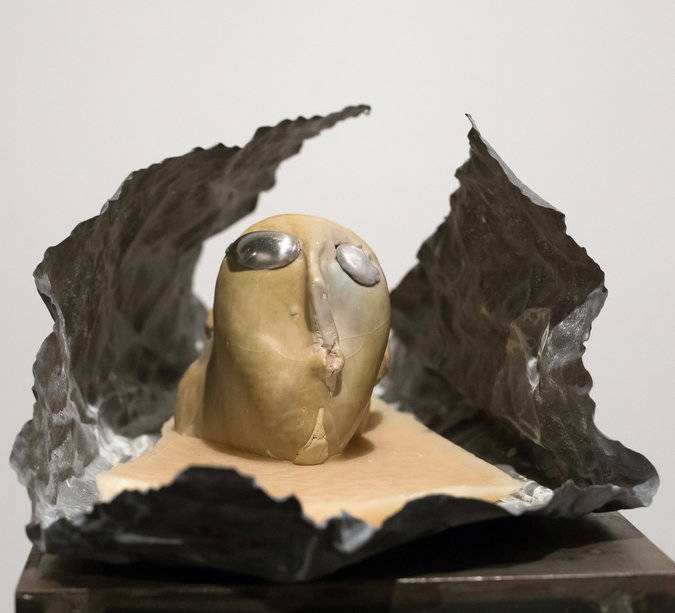 The MET’s large rooms invite visitors to view the evolutionary path of Marisa Merz’s work. Before becoming an artist, Merz was a woman, a wife, and a mother. She married painter, sculptor, and exponent of Arte Povera, Mario Merz, and the two would go on to live a life between art and experimentation. Their daughter, Beatrice, was a source of inspiration in their everyday lives. In fact, as Ian Alteveer explained to us, a domestic and biographical aspect emerged in her works. 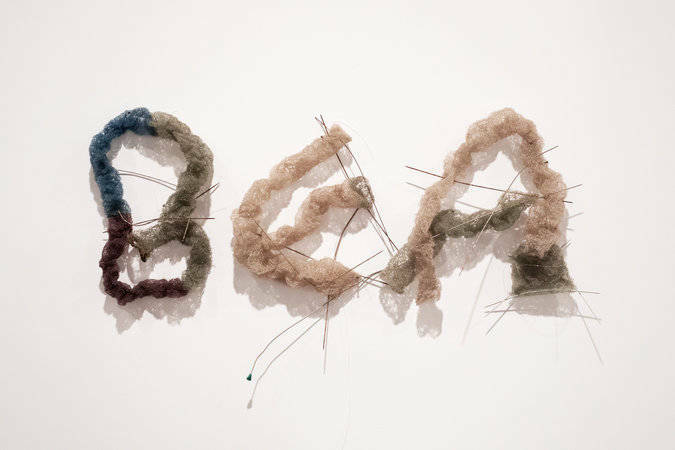 “The collaboration that I had with her daughter Beatrice Merz (who runs the Merz Foundation), Mariano Boggia (Marisa and Mario’s long-time studio assistant), and Connie Butler, Chief Curator at Hammer Museum and co-curator of LA’s Hammer Museum (where the show will move in June), has been fundamental for the success of this show. New York and Los Angeles, especially, have been places that previously hosted Merz’s shows, such as New York’s Gladstone Gallery. To understand the artist, it’s important to remember the historical context in which she lived; in the ‘60s, across the entire world, including in the United States, women who were expressing their concepts and their ideas through art needed to wait for the second wave of feminism to be included, accepted, and to become part of the art world. “At the same time,” Alteveer stresses, “she didn’t consider herself to be a part of feminism.” Marisa Merz was free from labels, from frameworks, from impositions, that could have defined her as a strong voice of her time. Nonetheless, she wasn’t afraid to express herself, to do things that were considered bizarre, especially for those times. The Sky is a Great Space. When Writing is Art. In Merz’s studio-house in Turin, Ian Alteveer happened upon Merz’s large library where there were poems that she had written and sporadically published, show catalogs, and collections from other Italian writers from the 60s and 70s. “Upon looking at and reading some pages, we stumbled upon some examples of Marisa’s writing. 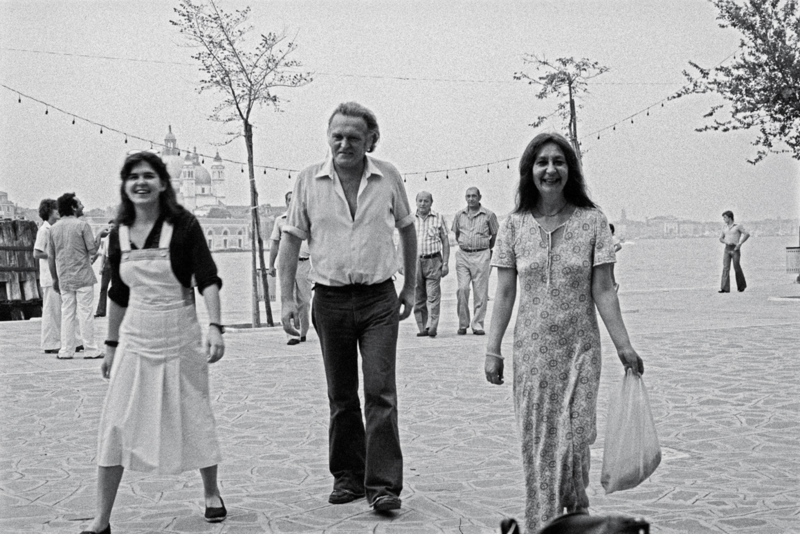 In some cases they were poems that were sporadically published, show catalogs, and collections of Italian writers from the 60s and 70s. But none of these has ever been translated into English. For the catalog, we decided to publish some of Marisa’s poems for the first time. The Sky is a Great Space – the curator reveals to us – is, in fact, a line from one of her poems that, for Alteveer, was evocative and emblematic in retaining the show’s concept in the United States. “This poem sends us back to a performance in which she was in an airport in 1970 in Rome, a city with which she had a strong tie. 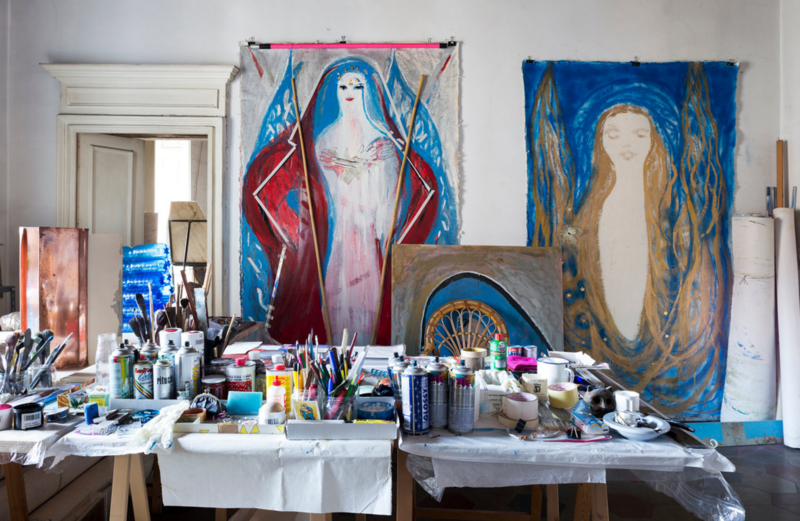 While preparing for a show near Rome at Fabio Sargentini’s Galleria L’Attico, Marisa Merz urged the gallery owner to organize a flyover of Rome for her that would take place on February 28, 1970. The artist boarded a 1965 Cessna F172G and communicated her altitude via radio. Mario remained on the ground and listened, and Sargentini jotted-down notes on paper. The photographer Claudio Abate documented everything in a series of photographs. Marisa Merz, Mario Merz, and Fabio Sargentini can be seen in the photos, and the paper where Sargentini recorded the flight altitudes can also be seen. Also while in Rome, Mario and Marisa went to the nearby Villaggio dei Pescatori in Fregene. Claudio Abate took a series of photos of Mario along the water's edge with Marisa’s beach blankets. The blankets would later be shown in Sargentini’s garage. In Marisa Merz’s sky there’s a dividing line between art and life, a line made by passion and energy. The show at the MET Breuer absolutely demonstrates this lifestyle. *The exhibition is organized by The Metropolitan Museum of Art, New York, and the Hammer Museum, Los Angeles.